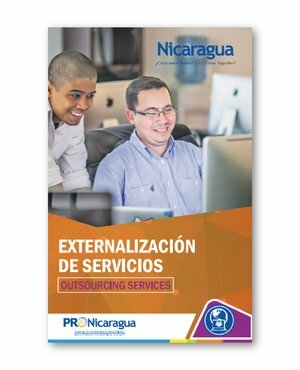 Among the main factors that lead to the decision of investing in Nicaragua, Concentrix highlights the proximity to North America and the availability of a bilingual labor pool. Currently, Concentrix Nicaragua provides high-value global business services in healthcare, human resources, customer care and technical support for the United States, Canada, Latin America, and Europe. Thanks to Nicaragua's positive business climate, Concentrix Corporation is increasing its presence in the country with the recent opening of a new state-of-the-art delivery center in Managua. The 2,500-square-meter customer engagement center is Concentrix’ third location in the city, adding to an existing footprint of 14 locations in Latin America. This strategic expansion in Managua is due to significant and accelerated growth in key client accounts. Among the main factors that led to the decision of investing in Nicaragua, Concentrix highlights its proximity to the United States and Canada, which allows more compatibility with their clients' time zones; the availability of a bilingual labor pool with great affinity with the North American culture and with a neutral English accent; the high levels of citizen safety and the fiscal incentives of the free zones system.